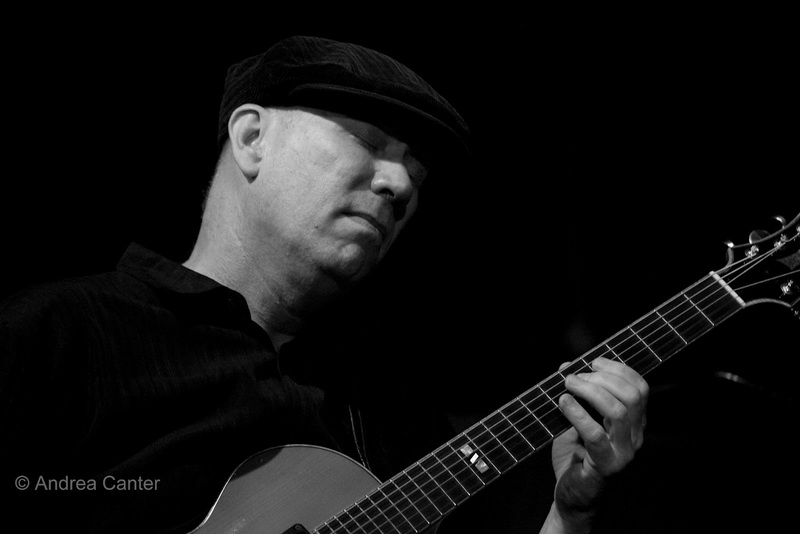 I know New York-based guitarist Paul Bollenback has been to the Twin Cities a number of times. I have missed him a number of times. Seems he comes when I am most likely to be out of town. I almost missed him again. But I returned with a day to spare, and spent my first night back at the Artists Quarter. I hope I don’t miss him again. His balladry reminded me of Joe Pass but his sound came from some where else. Like from everyone I’ve ever heard on guitar and yet not from anyone I’ve ever heard. He does something unique with his pick so you don’t even notice it. Then he does something unique with his harmonies so that you forget whatever he is doing technically, because it doesn’t matter. You just want to listen all night. Photo: Paul Bollenback at the Artists Quarter, June 15, 2012. Photo by Andrea Canter.